A simple Plum – TALESetc. T oday I picked a plum. It is a simple thing to do for most people, but in my case it is different. You see I am an invalid and I ride an electric cart. 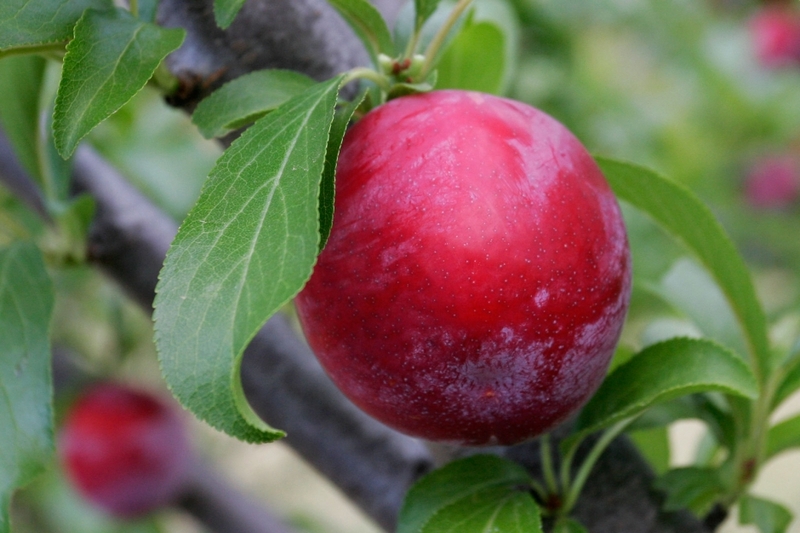 As I sit here on my cart in the warm sun eating this plum, I think of how it was before I got this cart, I wasn’t able to go outside and do a simple thing like pick a plum from a low-hanging branch of a tree. I wasn’t able to bask in the warm sun. I do now, and I think of how it was before I had a stroke. I was a very strong young man, I thought I was indestructible. Nothing could harm me, but then, when I was only fifty four it happened, I had a devastating stroke. Before that, a motor-home chassis fell off of the truck I was loading it on and crushed me. Six months after that, I had a heart attack and within six months I had the stroke. That ended my life as I knew it! I am not asking anyone to feel sorry for me, I just want you to know the facts. I have a wonderful life now; my family surrounds me with love, I ride my cart and smell the flowers, hear the birds sing, look up and see the beautiful sky. If anything happens to you, will you have a good attitude about it? I didn’t and I was miserable. Now I feel I am having a good time with my life!